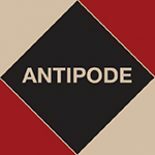 Antipode 44(5), a special issue entitled ‘Anarchist Geographies’, is out now. Links to the papers, which together seek to ‘reanimate’ radical geography’s anarchist traditions, are below, and you can see one of the guest editors, the University of Victoria’s Simon Springer, introducing them here. This entry was posted on 22 October 2012 by Antipode Editorial Office in Other and tagged Adam Barker, anarchism, anarchist geographies, Anthony Ince, Gavin Brown, Jenny Pickerill, Myrna Margulies Breitbart, postanarchism, Simon Springer, Uri Gordon.